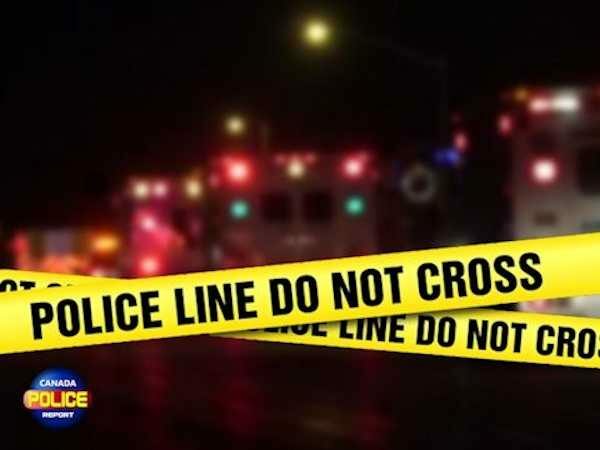 Calgary, Alberta – The Calgary Police Service Traffic Section is investigating a fatal collision that occurred early this morning. At approximately 4:20 a.m., on Tuesday, March 26, 2019, police were called to the intersection of 14 Street and Macewan Drive N.W., for reports of a single vehicle collision. A Nissan Maxima with two occupants was travelling northbound on 14 Street at a high rate of speed. As the vehicle approached Macewan Drive, the driver lost control and the vehicle began to rotate clockwise, mounting the east curb and striking a light standard on the northeast corner of the intersection. The impact with the pole caused significant damage to the vehicle. The driver, a man in his late 30s, was pronounced deceased at the scene. The passenger, a woman in her early 20s, suffered significant injuries and was transported to hospital in life-threatening condition. Excessive speed is believed to be a factor in this collision. Alcohol use on the part of the driver is being investigated as a contributing factor.